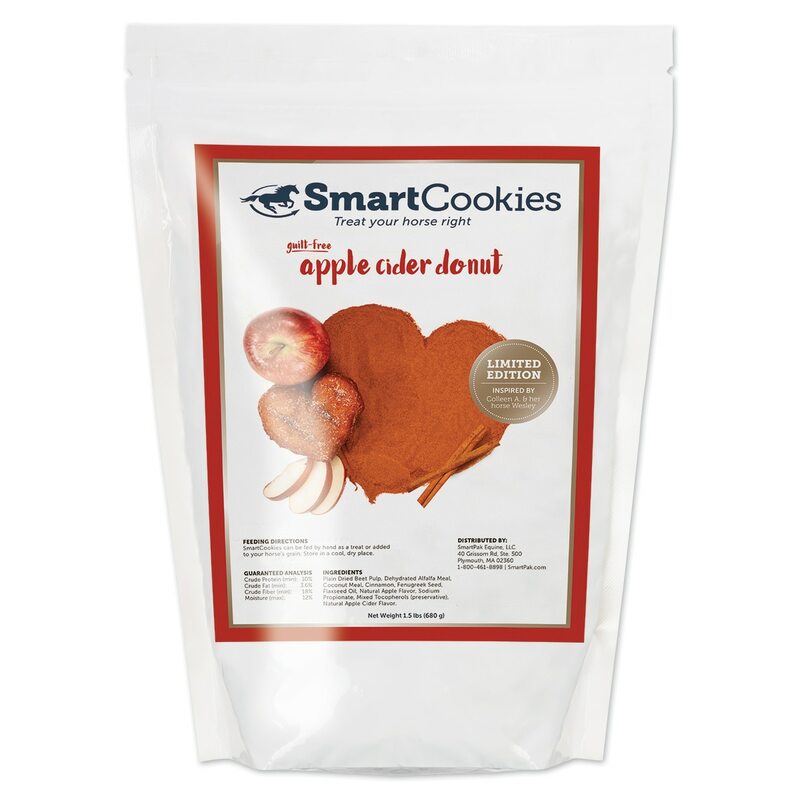 Guilt-Free Apple Cider Donut SmartCookies - Clearance! Treat your horse right with our exclusive SmartCookies! These treats have a healthy base of coconut meal, beet pulp, alfalfa, and flaxseed oil in a new, limited edition flavor Guilt-Free Apple Cider Donut. 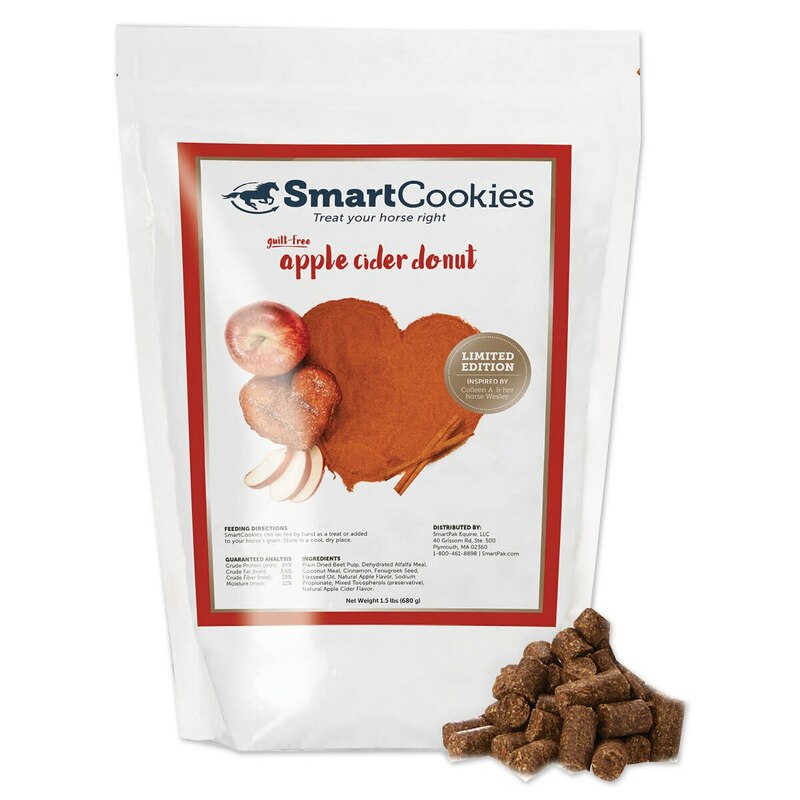 The Guilt-Free Apple Cider Donut flavor contains cinnamon and natural apple flavor. Plus, no added sugar, making them a great choice for horses on low-sugar diets or for smart, healthy snacking for any horse. When you give your horse these tasty treats, you can feel great knowing that you’re rewarding him the smart and healthy way.